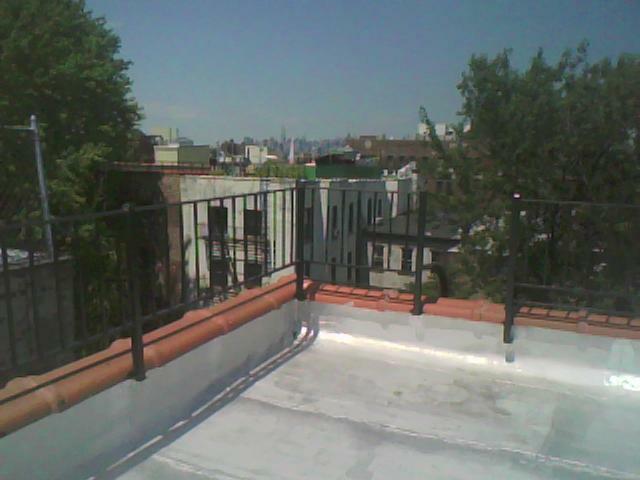 I should probably talk about the fact that I moved into a new apartment with a roof. I’m not gonna. I should probably talk about the fact that my ex-roommate is still throwing glass on the kitchen floor and stealing my toiletries. I should probably be writing an article for the Park Slope Reader about storytelling. I’m gonna talk about how this pasta I’m eating right now is really spicy. I got the spicy pasta for my 3pm breakfast because this was the only place that had wifi and an outlet for my constantly dying battery and my eye is immediately drawn to menu items described as spicy. I consider myself the cookie monster of spicy pasta dishes, like if I were to have a saying, I think it might be: “Spicy pasta is an all the time food.” I must obviously consider myself incorrectly because spicy pasta is not a breakfast food. I need to begin focusing on different things. Just because a menu offers something with tropical fruit, curry and bacon doesn’t mean I should get it. Just because something offers multiple dipping sauces doesn’t mean I should get it. Just because something says spicy doesn’t mean it’s breakfast. It means it’s not breakfast. How many spicy cereals are there? I don’t agree with anything I just said. I just tuned out for a couple minutes imagining how great jalapeño granola with a side of mango, curry, bacon pirogies with chipotle honey mustard sauce would be. I know I should focus on different things. I know I probably should move to an apartment just for the view from the roof. I know that when I tell a story at the GrandSLAm I shouldn’t focus on trying to experiment with different styles of storytelling. I know that I should talk to my roommate and try to get back those cookies he stole from me. I know that I should write productive articles that advertise my shows instead of blogging about my inability to write.